Please complete the following form before proceeding. The download will start after you click on the continue button. Breeze will run in trial mode without a valid product key. A copy of this note was also sent to your email address. Is the Breeze Order Manager only for PayPal accounts? Yes. Breeze will also retrieve your eBay orders or any other sales channel that uses PayPal as a payment processor. I am getting the error "Security Header is Not Valid", what does this mean? This is an error returned from PayPal which means that the API User, API Password or API Signature is incorrect. Make sure these values are copied in properly, you may need to copy it to Notepad first. Can Breeze Order Manager be used on more than one computer connected to the same Paypal Account? Yes, however, each computer will have its own local database of the orders data. 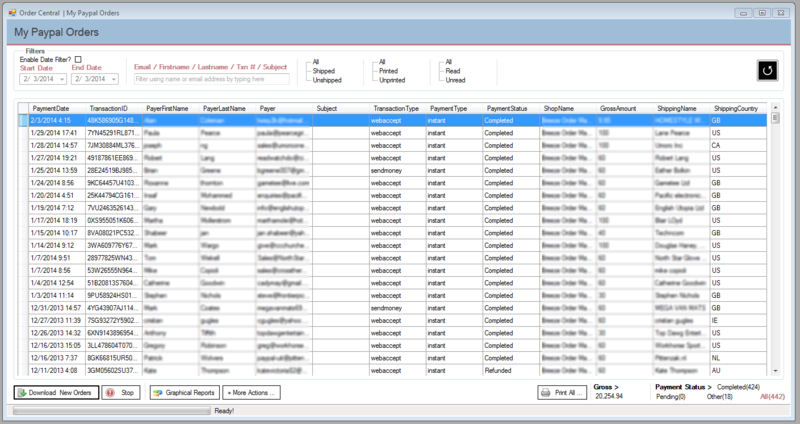 The Professional version of Breeze can be configured to have one central SQL database. Is this Breeze Order Manager country specific? It does not matter where you are located. Anyone who uses PayPal as a payment processor can and should use our software. Our goal is to make things easier and faster for PayPal merchants to efficiently fulfil their orders. Will Breeze OMS work on Apple computer products (MacBook, etc)? Yes but you will need to install a Windows virtual machine on a Mac. 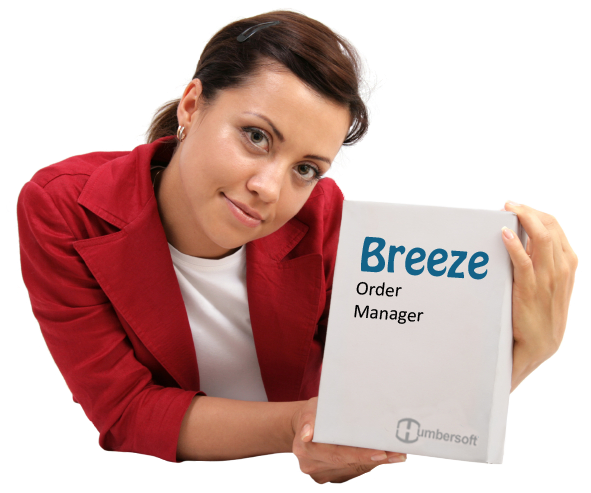 Breeze Order Management Software is a Windows-based software and won’t run natively on MAC OS. How much GB of space and RAM memory will I need to run the software? Breeze itself has a small footprint, approximately 9mb of hard drive space, however Breeze requires SAP Crystal Report (77mb) and .NET Framework 4.0 (88mb). In terms of RAM memory, 256MB or greater is sufficient. Can Breeze OMS print postage labels with my order? 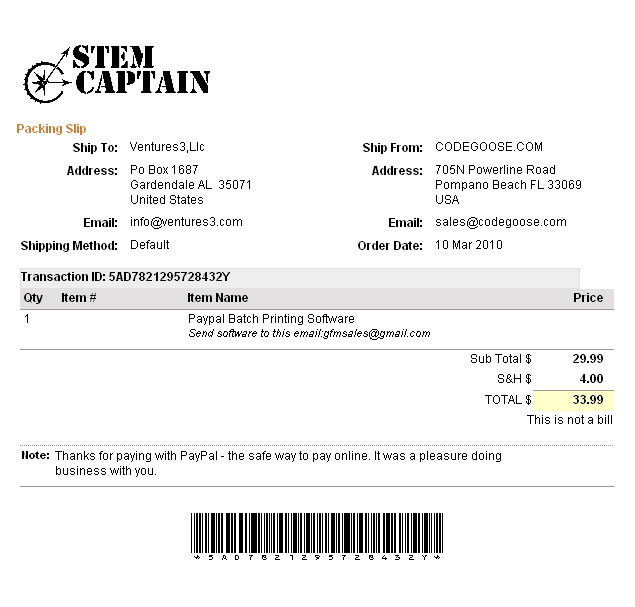 Breeze does not print postage paid shipping labels. Address labels can be printed however. You will need to use PayPal shipping or a third party postage processor. Can Breeze OMS print international postage on my order? Breeze does not print international postage labels. However, Address labels can be printed. You will need to use PayPal shipping or a third party postage processor. When I print the order from your software, does the package slips show the eBay buyer Id? Yes, the eBay user ID will show when you print the packing slip. Can I export my data to excel and send email from your software? Yes but this depends on the version you have selected. The Standard version allows this. Can old orders or transaction history be displayed? If yes how far back? Yes, you can go back 1 year, note however, if you have hundreds of orders it might take some time to download. From looking at your website it looks like I would need to enter my PayPal information into the software. I am very hesitant to give out my PayPal information as it is a security issue. How do you ensure security? Breeze communicates with PayPal servers over industry standard encrypted channels (https), thus your PayPal information cannot be viewed while being transmitted, even if communication is intercepted. Your PayPal API information will be stored on your local computer in encrypted format and once entered, won’t be displayed again. All these measures are taken, so that your API credential is kept secure. The API account can also be restricted from your PayPal account, the only permissions required are 'Search' and 'Transaction retrieval'; all other permissions can be removed. Is the Breeze OMS Software program easy to navigate? Yes, the program is user-friendly and intuitive; you will not have a problem navigating its features. We also have a help section and if needed, you can email us for additional support. How complicated is it to install? Breeze is fairly easy to install, you will just need to install the prerequisites first. The average installation will take approximately 5minutes. Please note however actual time will vary based on your internet connection to download the software and your computer speed. Do you have a video demo so I can see how the sofware works? I get an error while using the software, what should I do? Please click on the Emergency Support link at the bottom of the screen so that an emailcan be sent. Do you offer free tech support? What are the hours? Yes, free email technical support is available, Mon-Fri, 8am – 4pm EST. We want to print invoices from eBay which include the "custom" file as well as the standard price, tax etc: does the product enable this level of field addition subtraction to the template. Do you offer custom templates for packing slips? Yes we do and this can be purchased at time of check out or you can add this at a later point. We offer this since we realize some of you may not want to use the standard packing slip format. Some of you may want to personalize the packing slips. For example, watermarks, ability to put logos in different locations, other formatting changes which are not available on the default packing slip. Can I customize the software to my needs? Yes the software can be customized to meet certain needs but we would need to learn more. There will be an additional cost for this additional programming. Please email with your speficic request at support@humbersoft.ca for an estimate. Can I get a discount if I buy more than one copy? Yes, if your purchase more than one license you may get a discount on the second purchase. Do you have a referral program? Yes we do. If you successfully refer someone, we will apply a credit to your renewal purchase. Can I upgrade or change plans after I have made my purchase? Yes you can and it will be seamless. 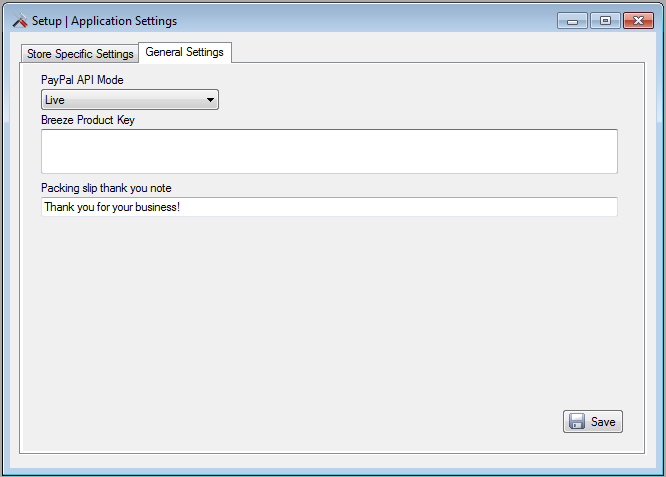 You will only need to copy in the new license / product key. Is your software available on CD-Rom? With the exception of trade shows and other promotional activity, it is only available as a download. This enables us to reduce costs and offer you this versatile and time-saving software at the most competitive price. 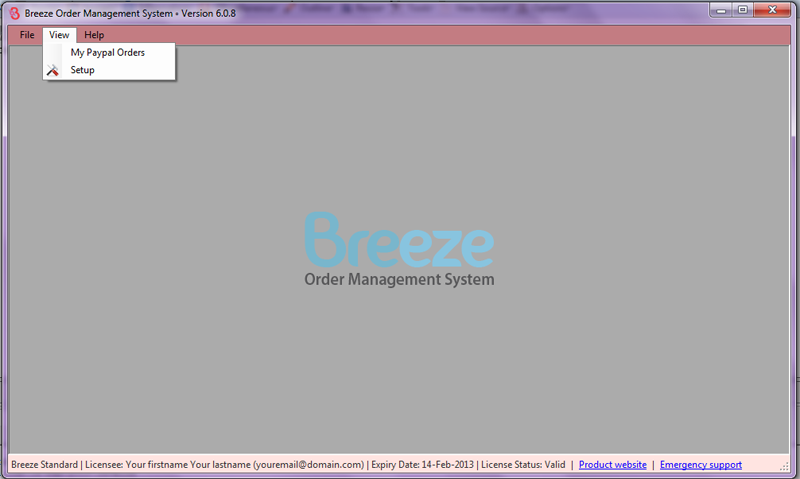 Breeze is the simplest tool available to batch print your eBay and PayPal orders! Set it and forget it or batch print all your orders in only just a few clicks. Hundreds of businesses are already using Breeze to print their packing slips, address labels, and invoices. Download the FREE trial today! A computer running Windows XP/Vista/7/8/10 is required. Print to any printer including DYMO, Zebra, and Brother label printers. Download your orders quickly and easily. Batch print packing slips and address labels in only just a few clicks. Breeze works well with PayPal US, PayPal UK, eBay, and on all websites that use PayPal as a payment processor. Print integrated labels, customized packing slips, add a logo, Royal Mail PPI etc. Get more time to concentrate on running your business. Process all your orders from one system. Breeze is suited for the busy business operator. It is intuitive by design and is very easy and simple to use. Easily search, sort, filter, print, export, and display order information. Breeze templates can be customized to suit practically all paper, label sizes, and printers. We charge a nominal fee of $60 to create or modify templates. We have over fifty templates to choose from. Breeze customers get great after sale support. Expect to have your issues resolved in a timely manner. Breeze is actively maintained and is kept up to date with PayPal's API changes. All customers benefit from free software updates. We welcome requests for new software features and are more than happy to implement. Breeze main interface showing the license information and the expiry date at the bottom. Breeze also includes a help menu for remote technical support. This screenshot shows the main productivity window for the downloaded orders. Your orders can be sorted, be filtered and be printed from this screen. An example of one of the many built-in packing slip templates. “Your program is brilliant! It saves so much time and makes viewing transactions from both eBay and my website so much easier than having to log in and switch between applications.” - Robert de Rooy | keybuttons.com.au | Cairns Qld Australia. "I would like to commend you on your software. I run a small online business which is not linked to ebay and was really struggling to print off my address labels. (Until now) Now that I have your software I can print all my address labels with my Zebra label printer in less time than it takes to make a cup of coffee. I would recommend your software to anybody using Paypal as a payment source and please publish this recommendation if it helps to promote your company or put a potential customers mind at ease. Many thanks from the U.K" -- Mark | Naturevape | United Kingdom. “Before implementing Breeze, our online sales to invoice procedure was a clunky time-consuming nightmare.Now, with not much more than one push of a button we can print all of our invoices for dispatch within just a few minutes. "Just a quick note to say how pleased I am with this product. It's a spot-on solution for one of PayPal's most aggravating features - printing out. I estimate this software will save my staff between 30 and 45 minutes a day. Add that up at an hourly rate for admin labour-rates and that is at least 100 to 150 hours of time/work saved in the next year - 150 more hours they can be helping customers, taking orders etc. We use a lot of PayPal shopping cart web payments standard buttons, including some attached to php/java driven price calculators, PayPal is fine, except for the incomprehensibly slow and ponderous printing out packing slips procedures. But this program has changed all that." - Kevin Parkyn | Moonshine Framing | United Kingdom. Ask any of them how satisfied they are with our software. They will say Breeze is amazing, and so will you. Give it a try today! You'll receive your Breeze product key as soon as you complete your purchase. Every package has a 15-day-money-back-no-questions-asked gaurantee. If you are not satisifed, for whatever reason, then let us know and we'll give you a full refund. No hassle. We charge less than our competitors partly because we do not host your data. All your data is downloaded to your own computer. * This plan lasts for 1 month and is suitable for trying out the software. Please send us a message if you have any questions or suggestions. Make sure to use a valid email address so that we can get back to you. Humbersoft and the Humbersoft logo are trademarks of Humber Software Services Inc., Canada. All rights reserved.